Charles L. Byrd (September 16, 1925 - November 30, 1999), better known as Charlie Byrd, was a famous jazz guitarist, born in Suffolk, Virginia. He was the only jazz guitarist of that era whose primary instrument was the classical guitar which gave him his uniquely identifiable sound. Byrd primarily looked up to Django Reinhardt. He moved to Washington, D.C., to study classical guitar with the renowned Sophocles Papas. He later moved to Italy where he studied with Andr&eacute;s Segovia. Byrd primarily looked up to Django Reinhardt. 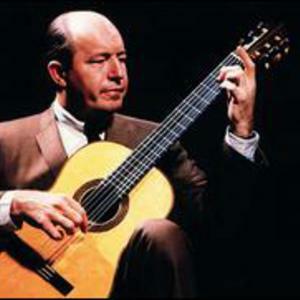 He moved to Washington, D.C., to study classical guitar with the renowned Sophocles Papas. He later moved to Italy where he studied with Andr&eacute;s Segovia. In the early 1960's he was on a State Department tour in South America where he was introduced to a new music, the bossa nova, which was the musical passion of Brazil beginning in the late 50's. Jazz saxophonist Stan Getz had been in Brazil about six months earlier than Byrd, also on a State Department tour, where he, too, was exposed to the bossa nova. A short time later Getz called Byrd in D.C. and suggested the idea that they collaborate on a bossa nova album. That album was the introduction of bossa nova to North America. He is perhaps most well known as a collaborator with Stan Getz on the Jazz Samba album, which featured many themes of bossa nova, and of course, samba.